We wanted to share this story with you; of a recent mortgage application we worked on and helped the client secure a lower interest rate. What is really shocking is the company hired by Halifax Building Society carried out an online valuation of their house and based their valuation on properties which have been sold on the same street! Acting as Mortgage Advisers for the client we stepped in and appealed their decision as the valuation was key to securing a lower % rate. It was quite a lengthy process but we now have a happy client! The article is written by the client. You told me that if the valuation of my house was below 260k the mortgage rate would be 2.39% but if the valuation was above this you could arrange a rate of 1.89%. Halifax asked Colleys to do a property valuation which turned out to be misguided, unprofessional and seriously inaccurate. They didn’t even do a drive by valuation, instead going on line and viewing the sale price of the last property sold on my street and using that exact figure. This was ridiculous as the property sold in no way reflected my property. The one sold was 3 years ago and it was an old people’s bungalow – mine is a 5 bedroomed ( 2 ensuite), detached house with a double detached garage, large extension, study, snug, dining room, games room, lounge, newly fitted central heating and electrics, newly fitted kitchen and solar panels and Colleys sent through a valuation of 240k. Gary appealed this valuation on my behalf as it meant the difference of a preferential interest rate. I was asked to provide details of like properties in my area which had sold recently, which I did, all of them valued at 275k plus, but in spite of this Colleys would only increase their valuation to 247k which smacked of noses being put out of joint rather than a decision based on factual findings. I was told this decision was final and Colleys even went as far as to say I had no right of appeal as I hadn’t paid for the valuation. At the time I seemed to have no choice but to accept the mortgage at the 2.39% rate, as being a self employed foster Carer mortgages being offered weren’t thick on the ground. However, as there was a principle involved, not to mention saving money, I contacted Halifax myself and explained the situation. I spoke to a lady in the complaints department called Vanessa Cresswell who looked into the situation, including the fact that I’d asked if I could pay for a valuation to be done myself. She wrote back saying this was not possible and that although she knew I’d be disappointed there was nothing else she could do and Colleys decision was final. She did concur that they were wrong however in telling me I had no right of appeal and paid me £150 compensation for this. Still not satisfied with this response I rang her and questioned the professionalism of the company they were paying to do their valuations and described my house to her. On the basis of having an extension which could not be seen from the road she said she would be able to look at the case again but everything she tried seemed to be bound in an unworkable procedure which she herself said needed changing. Undeterred by this I kept ringing and finally she spoke to her manager and they agreed to me instructing another surveyor who was on their approved list, but I would have to do this independently but they would forward me the cost of the valuation, which they did, (£300). I instructed E.Surv and they did a thorough survey in person and submitted a valuation of 280k, which I forwarded to Halifax. Based on this I now have confirmation that Halifax are changing my mortgage to the 1.89% rate and I will be refunded the difference. It has been a lengthy and frustrating process but worth the fight. Vanessa said because of this her manager is now looking to change their procedure. 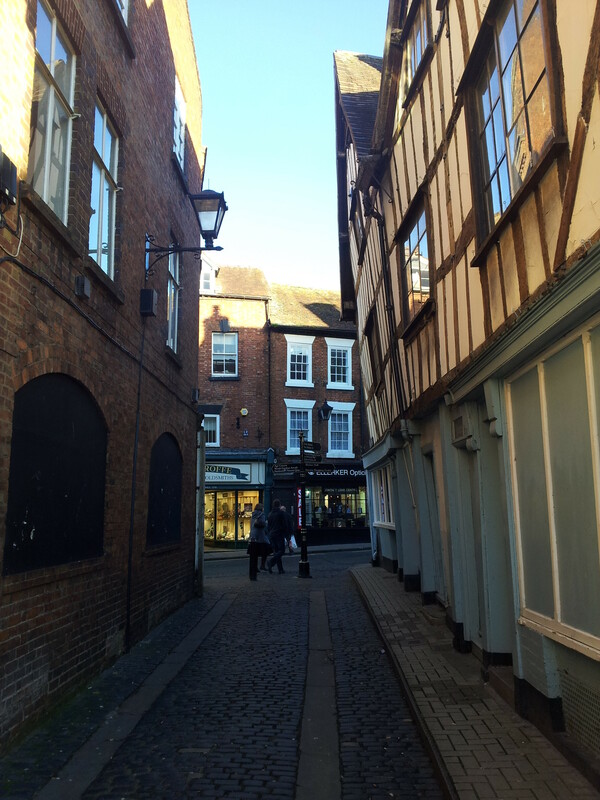 AFP Partnership are independent mortgage advisers located in Shrewsbury, Shropshire. We are not tied to one provider which means that we can contact several mortgage lenders on your behalf to find you a suitable deal. If you are thinking of moving home, or looking to buy your first home, and would like to speak to a professional company please contact AFP Partnership on 01743 364377, 07887 920121 or drop us an email. We can arrange to come and see you in the evenings, if this is more convenient with you.